This year my home schooled kids are learning about Chemistry, and what better tool than a microscope kit. I love this one from Geo Central. 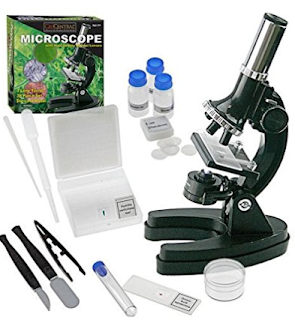 38 piece kit contains everything you need to start exploring the microscopic world around us. You can purchase this on Amazon here.